The company is reportedly working with developers so their apps comply with App Store restrictions. Apple is cracking down on apps that feature the Confederate flag in the wake of last week’s church shooting in Charleston, South Carolina. The company is joining Amazon, eBay, Etsy, Walmart, and other retailers in taking a stand against the flag, which has become a symbol of shooter Dylann Roof’s attack on Charleston’s historic Emanuel African Methodist Episcopal church. Roof is pictured holding a Confederate flag in a photo that spread quickly online after the shooting. South Carolina is now moving to ban the flag from its state Capitol building. Those apps include games like Hunted Cow’s Civil War series and Ultimate General: Gettysburg. Andrew Mulholland, who directed the Civil War games, told Kotaku that his apps weren’t using the flag in an offensive way. “They were historical war games and hence it was the flag used at the time,” he told the gaming site. The company clearly had to make a move, and according to BuzzFeed’s sources, Apple is working with developers whose apps were pulled. Mulholland told Kotaku that his solution is to use a Confederate flag used in 1861 and 1862, as the one widely associated with Confederate-era nostalgia didn’t emerge until late 1862. 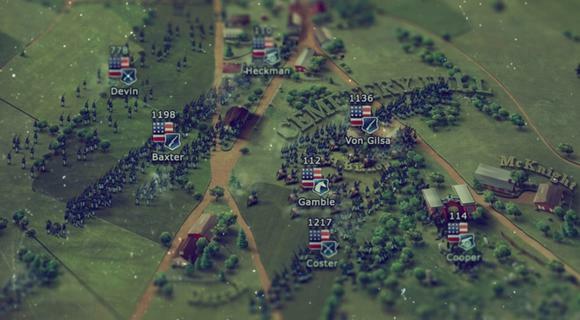 The developers behind Ultimate General: Gettysburg have decided not to alter their game and have accepted Apple's decision to remove it from the App Store.